Best Greek islands to visit, at least once in your life. Greece has over 3,000 islands, it is time to explore more than the popular. In this guide article for the best Greek islands, you will find one great list with inside information. For the best beaches in Greece, Google maps and unexplored unique locations. Which are the best Greek islands to visit, is one very common question in the global travel industry. Greece is one of the best tourist destinations when you are planning to explore the world. There are some of the best Greek islands that you should explore at least once in your life. Once you are on these islands, it will make you feel like you are in heaven. All islands have their own uniqueness; that makes them different from all the other islands that you might come across. Here we have the list of what you should visit in Greece. One of the best and most popular travel package in Europe; Is definitely the Aegean Adventure trip. Exclusively created, from the Greecefully’s experts. You will visit 12 islands and more than 20 spectacular beaches with the renowned turquoise waters from the Aegean Sea. Included: Certified RIB boat captain and accommodation. The Ionian Islands are scattered along the western coastlines of central Greece. There are 6 large and 6 small islands. The large ones are famous for their beauty and amazing beaches that has been attracting people from around the world. With many UK reviews as the most favorite Greek islands. You will be surprised to know that once the Ionian Islands was an important part of central Greece but when the terrain sank the region was torn apart. It happened because of the seismic activity along the coastline fault of Ionian Sea. This led to the formation of the hauntingly beautiful beaches, with ragged shores and tall mountains. Pindos national park, the mountain range is an important part of the Ionian Islands that is linked with central Greece. It is the greatest region in the Mediterranean that accounts for the great depths of water that can reach 4406 meters. Also, one popular destination for Ecotourism packages. 1 – Corfu island or Kerkyra, its history is full of battles and conquests. In the northwestern corner of Greece lies the island of Corfu. It is among the greenest and according to many, the most excellent island in the nation. There is a huge variety of vegetation in a couple of different destinations in Greece. As well as Corfu lies just a couple of hours by ship from Bari or Brindisi in Italy (fairly longer from Venice or Ancona). Traditional dishes. The absolute most astounding shorelines in the Mediterranean are on Corfu. Keeping in mind that tourism has totally assumed control a large portion of the beachfront territories. Numerous inland towns are shockingly pristine. On the eastern side of the island, confronting Albania and Greek Epiros, the land slants delicately to the ocean. However, most shorelines are short and pebbly. In any case, the western side is significantly more extreme and more sensational. With numerous waterfront bluffs finishing off with confined inlets or sandy beaches lapped by the Ionian Sea. Population: 102,071, Google Map: Corfu, Coordinates: 39°35′N 19°52′E, Region: Ionian Islands, Area: 610.9 km2. 2 – Cephalonia or Kefalonia, the 6th largest island in Greece. Otherwise called Kefalonia, Cephalonia is the biggest of the Ionian Islands and a standout amongst the most beautiful. Argostoli, the capital city of Cephalonia is like an amphitheatre sitting above the Koutavous tidal pond. A nature hold that is both a ceasing point for Loggerhead turtles and transient birds. The Melissani Lake cave close to the island’s principal port, Sami, is an unquestionable requirement see the regular fascination. Definitely one top destination and one of the Best Greek islands to visit and the best value Greek island for the loggerhead turtles. Also, renowned as Caretta-caretta. Once a position of love for the god Pan, the lake is beautified via seawater streaming in underground from the contrary side of the island. Encompassed by mountains, Sami Beach at the west coast is justified regardless of a visit also. The pretty white-stone shoreline is likewise less swarmed than the more famous Myrtos Beach on the island’s west drift. 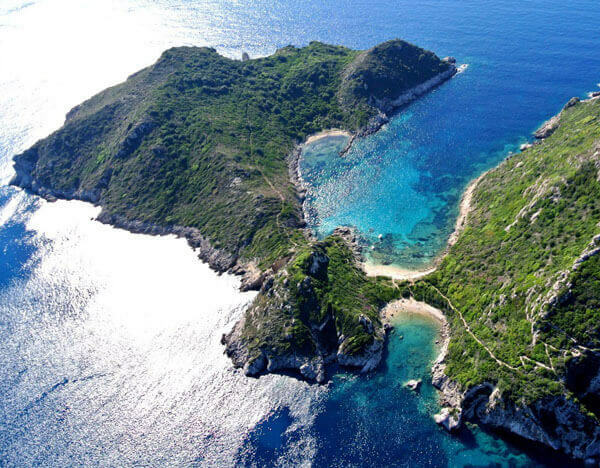 Coordinates: 38°15′N 20°30′E, Population: 35,801, Region: Ionian Islands, Area: 786.58 km2. 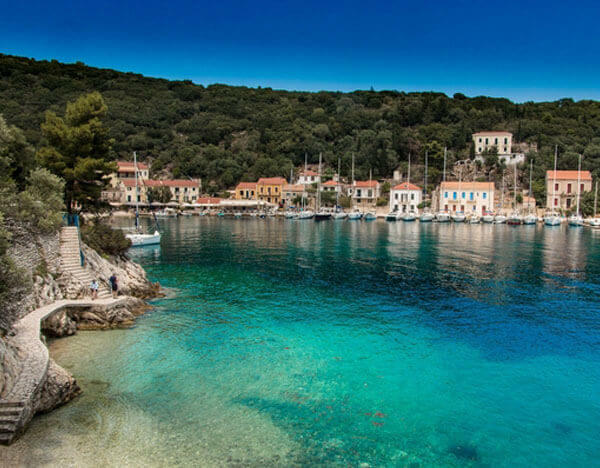 3 – Ithaca, renowned as Ithaki. One can’t list the Greek islands without exploring the island of Odysseus. In the event that it is to be sure the island Homer has expounded on. The island known as Ithaki is a fishing village. However, has bunches of trees and olive forests, as do the other Ionian islands. A few archaeological destinations which might possibly be related to Homer’s story. Alongside some excellent towns for fishing and shorelines make this an intriguing island to visit either from Patras or Cephalonia. Ithaka is a perfect place for strolling loaded with trails and perspectives. Sailboat rental. The island is little and calm and June is one of the best Greek islands for families. Vathy, the capital of the island, unites the northern piece of the island which has the best climbing. The southern part has the best shorelines. The most ideal approach to investigate the shorelines is by pontoon. Google Map: Ithaca, Population: 3,231, Area: 117.8 km2, Popular hashtags: greek ferries, ferry ticket, high season, ferry connections. 4 – Lefkada, connected to the mainland by a floating bridge. 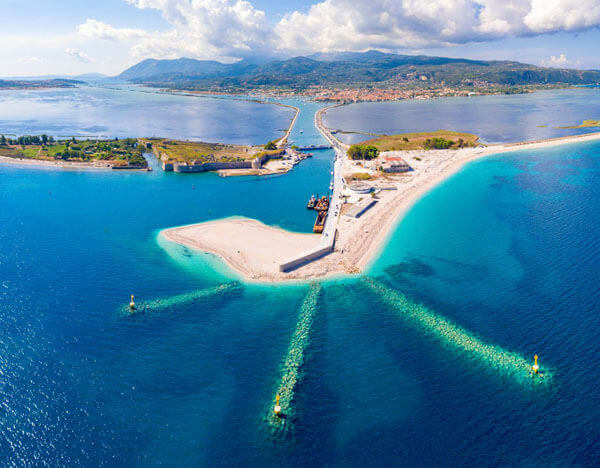 Encompassed by two dozen islets, Lefkada associates with Mainland of Greece by a gliding boat connect and a long boulevard. The effectively available island is a prevalent excursion goal. It is offering guests a variety of recreational, normal and social attractions. The island’s west side has the best shorelines. While the breezy south is a most loved spot for kite surfing and paragliding. The town of Lefkada highlights the island’s most fascinating social establishments. It incorporates the twelfth-century the Charamogleious Eidiki Lefkadiaki Library and post-Agia Mavra. A family run island. The Archeological Museum includes a great accumulation of antiques dating from the Paleolithic Era to the fourth century A.D.
Population: 22,652, Coordinates: 38°43′N 20°39′E, Region: Ionian Islands, Area: 333.6 km2. 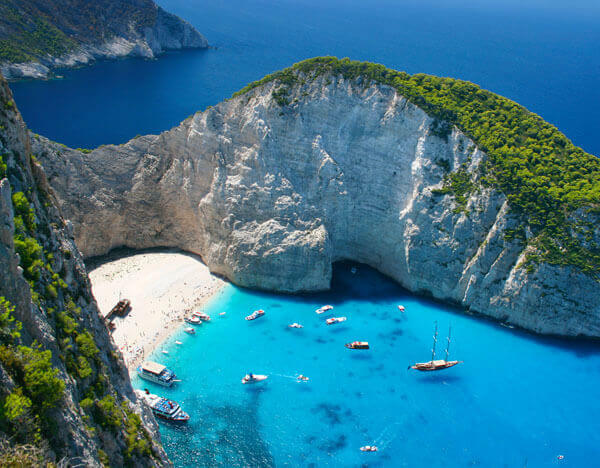 5 – Zakynthos, with Famous landmarks, include the Navagio beach. Cephalonia ‘s closest island neighbour toward the south. Zakynthos is the third biggest of the Ionian Islands. Otherwise called Zante, the island is known for its shifted coastline. It ranges from rough bluffs on the west drift. It buckles toward the north to protected sandy shorelines toward the south and east. Definitely, one of the best Greek islands to visit. With Little more crystal and turquoise coloured waters from, the Aegean islands. Shorelines along the southern Vassilikos promontory are a portion of the island’s most prominent goals. A trip on a boat will allow you to explore Cape Skinari’s northern tip that has beautiful blue caves. You can’t-miss this action. Early in the morning, the blue shade of the ocean is reflected on overhanging curves of the cave. Population: 40,759, Coordinates: 37°48′N 20°45′E, Area: 405.55 km2 (156.58 sq. mi), Popular hashtags: blue domed churches, ferry schedules, ferry bookings. 6 – Kythira, also transliterated as Cythera. Some portion of the first six Ionian Islands, Kythira lies close to the southern tip of the Peloponnese landmass. Its essential sea area used by importers and exporters from everywhere throughout the known world. Bringing about a culture that is unique than the other Ionian Islands. From thirteenth century Byzantine frescoes found the collapse Mylopotamos to Minoan bronze symbols uncovered on the pile of St. George. One of the Best Greek islands for Greek family vacations. A popular spot, the pebble beach combined with white sand. Archaeological history of Kythira mirror’s the island’s social decent variety. Notwithstanding Kythira’s lovely shorelines, the Mills district in Mylopotamos with its watermills and lakes is well worth investigating too. Area: 300.0 km2 (115.8 sq. mi), Population: 665, Coordinates: 36°15′N 23°00′E. The Saronic Islands; Top 5 of the best Greek islands to visit. The Saronic Islands hug the coast between the port of Athens and Piraeus and the Peloponnese. It is the stunning southern mainland in Greece. In the Saronic Islands, you will find the history of Greece. Here you will come across the site from 480 BC where the Persian navy was defeated by Greece. Salamis will be a site you should explore. There is a complete group of islands associated with the region which makes it even more beautiful. Here we have the list of Saronic islands that you must visit during your trip. Here you will find what is the best time to visit Athens as well. 7 – Hydra Island, between the Saronic Gulf and the Argolic Gulf. 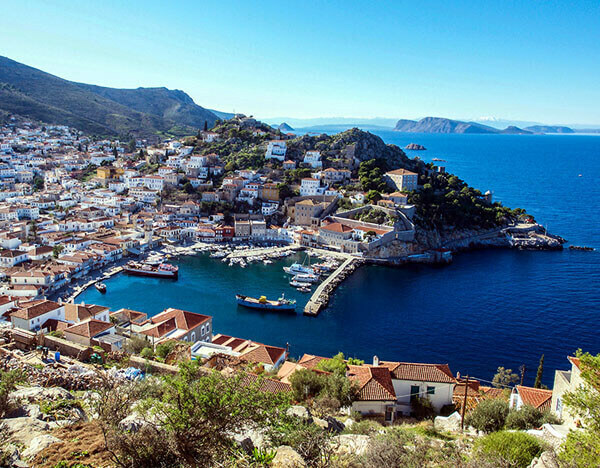 One of the most impressive islands that you will come across in the Saronic islands is Hydra. It is the perfect representation of nature and beauty in the same place. The biggest attraction of the island is that it is built on the slope of the hill. This is the reason is a massive number of tourists prefer to spend their vacations on Hydra islands instead of going to other places. 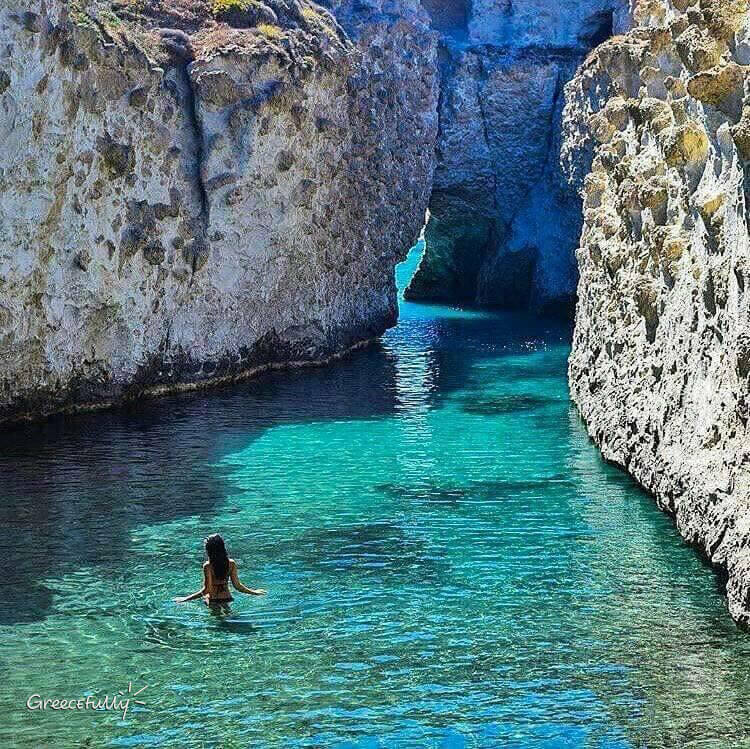 Best Greek islands to visit. You will fall in love with the beautiful stone mansions that are built on the island. The next most interesting thing about Hydra is that all types of vehicles are prohibited n the area. You only get a chance to travel by foot, boat or donkeys. This makes donkeys another attraction in Hydra. There are many beautiful crystal beaches in the area where you can enjoy your time. Google Map: Hydra, Population: 1,966, Coordinates: 37°21′N 23°28′E, Region: Attica, Area: 64.443 km2. 8 – Agistri Island, also Angistri or Agkistri. It is the smallest island in the region that makes it a major attraction for the tourists and locals. From Athens, it is only an hour ferry ride away. In case you get a chance to visit Agistri make sure that you stay in Skala. It is a very popular resort in Agistri that provides the best services to the tourists. They have their own small beach that will allow you to relax away from the crowd. As well as you can enjoy the bus and train ride they provide from one beach to another beach. Coordinates: 37°42′N 23°20′E, Region: Attica, Area: 13.37 km2, Population: 1,142. 9 – Spetses Island, the pine-covered island. In the Medieval occasions, the island thrived with exchange and local people developed exquisite manors that get by till today. At the point when the Greek Revolution of 1821 broke out, the neighbourhood business ships were transformed into military ships and added to set the nation free. The Town is substantial and perfect for long promenades. Numerous excellent shorelines are found around the island, open by vessel or transport. This year is definitely the best time to visit Greece and notably this place. Luxury tours. A substantial celebration happens in Spetses every September. The Armata Festival, that tops with the consuming of a vessel in remembrance of a maritime trip amongst Greeks and Turks. Popular hashtags: blue domed churches, daily ferry, ferry company. 10 – Poros, in the Saronic Gulf. A little island of the Saronic Island, Poros is a loosening up put for family travels. As it is just an hour ship ride from Athens, Poros island is a prominent end of the week goal in summer. The Town, built on the slants of a slope, is the focal point of most exercises on the island. The most beautiful spot of Poros is the Love Bay, encompassed by the trademark pine backwoods of the island. 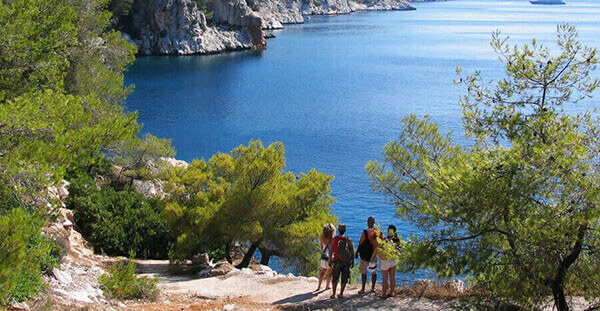 Throughout the most recent years, the island has created as a flight point for cruising treks to the Saronic Island. This is the reason many cruising focuses have their base on the island. The pleasant shorelines, the beautiful village and its nightlife is well-known summer end of the week goal for the locals. With luscious green pine trees, precious stone water, the whole island gives a significant feeling of psyche and body unwinding. 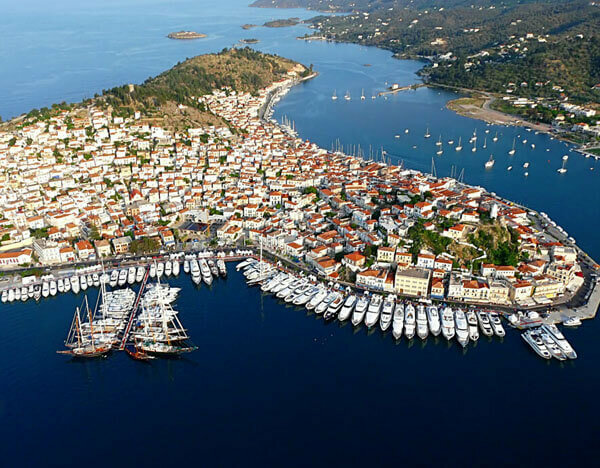 Throughout the most recent years, Poros has turned into a base for cruising in the Saronic Island. 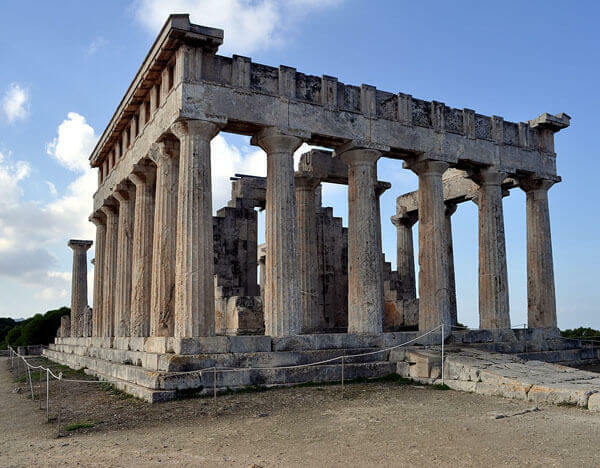 11 – Aegina Island and the temple of Aphaea. It is very close to Athens which makes it popular for a day trip. Flying Dolphins and ferry from Athens travelling very often. Many tourists after their vacations from the Dodecanese islands visit this place for a relaxing day. Aegina was also famous, as the naval power of Greece. There are several neoclassical buildings on the Aegina island. You can have a stroll around the area. Enjoy the perfect mixture of history and modernism for this island hopping. Area: 87.41 km2 (33.75 sq. mi), Population: 8,924, Coordinates: 37°45′N 23°26′E. 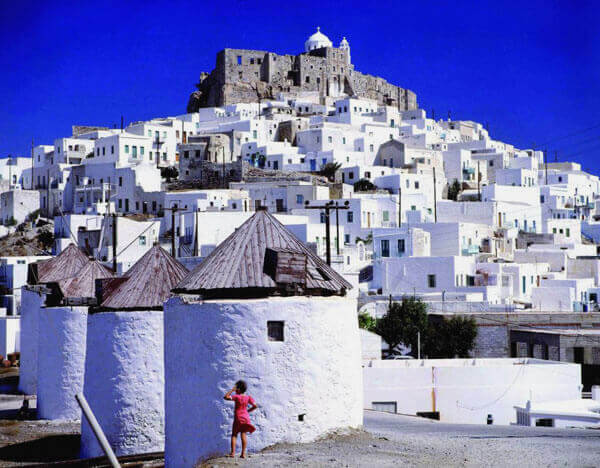 The biggest attraction, best Greek island resorts and the Cycladic architecture. In this page for the Aegean islands, you will find useful information, maps, images and the best suggestions from local communities. The most famous Cycladic island and volcanic island, Santorini. For many beautiful beaches, which are accessible only by boat. Also, how you can book a boat trip to the blue palace and Mykonos town. The most popular islands in Greece waits for you to come and discover their beauty and make unforgettable memories. Our team is always at your disposal with many designed and bespoke trips. Additional things to do in Greece. This was the first trip to Greece, all thanks to the experienced tour advisors from this team. We had great accommodations and the hospitality was very warm. We stay at the Hydra island near Athens. Thank you, George, for the wonderful experience. It was an absolutely wonderful experience, my husband and I went to Corfu for Our honeymoon, and I never wanted it to end. We’ll definitely be going back in the nearest future – Eva, 37.